The former 'Arrested Development' star voices the Caped Crusader in the 'Lego' movies. 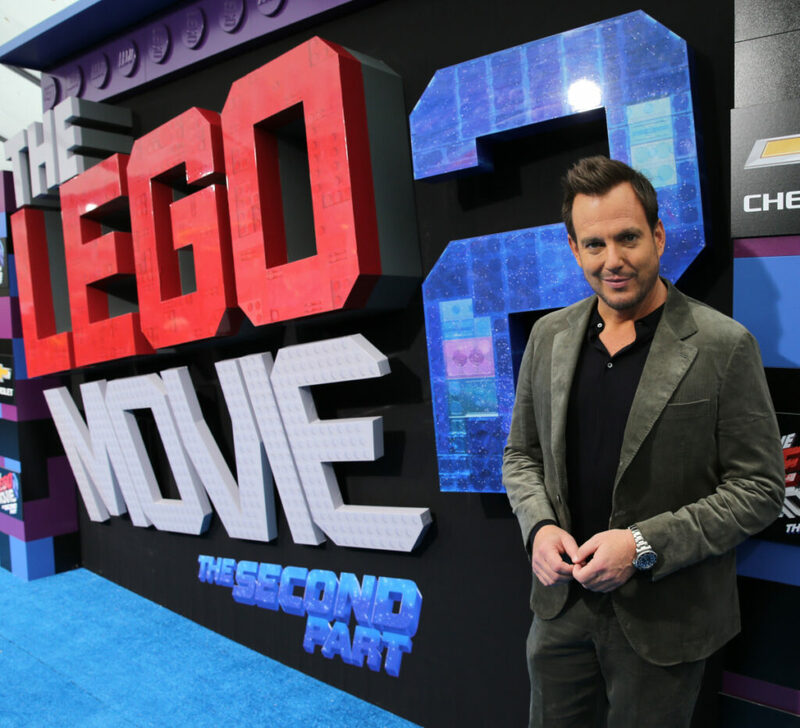 LOS ANGELES — Will Arnett’s secret to making Batman so funny in the “Lego” movies is he’s not trying to be funny. He’s playing the animated version of the comic book hero with the same seriousness as Michael Keaton or Christian Bale. “The Lego Movie 2: The Second Part,” which opened Friday, picks up five years after the first film. The Lego city’s residents have come under attack by an outside force so devastating they now life in a dystopian world. This could be changing as a visitor arrives with plans for a wedding between Batman and the queen of the other world. It is up to the ever-positive Emmet (voiced by Chris Pratt) and Wyldstyle (Elizabeth Banks) to save Batman and their world. Part of the absurdity of the new film is once again Batman sings. This time it is a rap about love and marriage. Batman is just Arnett’s most recent voice work. Long before he was part of any of the Lego projects or “Monsters vs. Aliens,” “Ratatouille,” “The Nut Job,” “Despicable Me” or “BoJack Horseman,” he worked in commercials. He had been told all his life he had an unusual voice, but it wasn’t until he moved to New York that he looked into jobs as a voice talent. “Acting was the thing that I always wanted to do. I didn’t even know what voice-over work was,” Arnett says. “I started doing a lot of commercials but it never really occurred to me that it could become this. I never saw myself getting into animation. One of the best parts of working on projects like “The Lego Movie 2” is he gets years to work. Arnett will go into the recording booth and spend hours doing the lines for the entire movie in a multitude of ways. Then, months later, he returns to the booth to record more lines as the story will often change. The process continues until the directors have just the right words. Arnett knows all too well how much an animated film can change. All of the voice work Arnett and Amy Poehler had done at the beginning of “Cloudy with a Chance of Meatballs” was scrapped when the project took a different direction. His efforts weren’t a total loss, as it was through that project Arnett met Phil Lord and Christopher Miller, who directed and wrote “The Lego Movie” and penned the sequel. The credit list for Arnett as a voice talent is extremely long, but the Canadian-American actor, comedian and producer is best known for his work on “Arrested Development.” Being part of the comedy series for Arnett has felt like the bridge between his voice and onscreen work. That’s because to Arnett, “Arrested Development” has a very cartoonlike feel to it. “For me, what seems to work comedically in my own experience, has been to make sure no matter how crazy or absurd a character is, I always know he seriously believes in what he’s doing,” Arnett says.